Skateboarding legend Tony Hawk was on hand Sunday for the grand opening of the new Stars and Stripes Skate Park as thousands gathered to watch and celebrate. Crowds gathered around the edges of the bowls to watch skateboarders make jumps and mid-air turns, some spilling onto the new pavement in their attempts. The park was officially opened Sunday on the south side of Lake Hefner with professional skateboarders Hawk, Clint Walker and the Birdhouse Skateboard team as well as many others who came with their own skateboards. 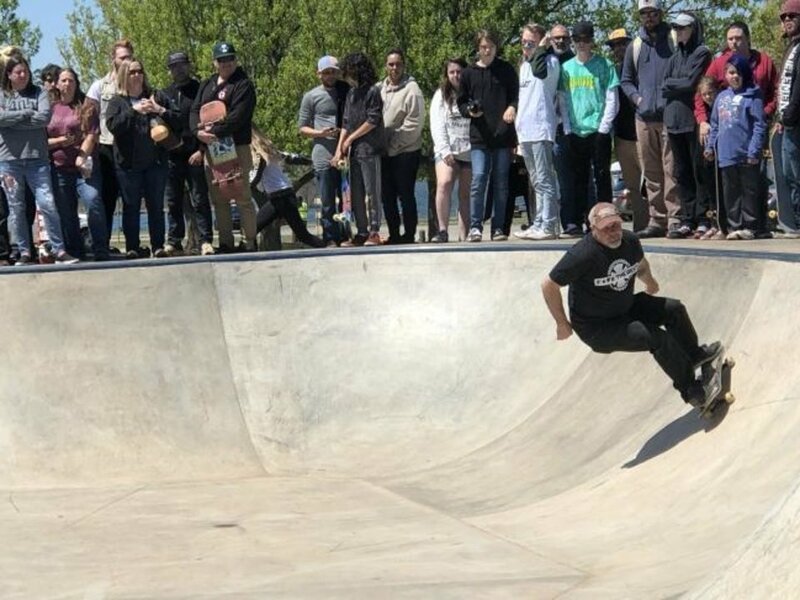 Doug Kupper, Oklahoma City Parks Department director, said about 3,000 people showed up to see professional skateboarders perform and celebrate the opening of the latest addition to the city's park. Stars and Stripes opened in 1970 with a big rocket ship slide and a patriotic, Space Age playground theme. The skate park officially opened April 1. "I like it a lot, it's fun. I come here all the time," said Jake Perez, 16, of Oklahoma City. "I live right down the street. I bring my own lunch and stuff." He said the park has a good design and is good for beginners as well. "It's nicely built," he said. Kupper said one of the top professional skateboarders in the United States, Clint Walker, an Oklahoma native, tried out the park and gave it a thumbs up. The cost of the skate park was about $500,000 and was paid with funds from a voter-approved 2007 general obligation bond for parks. "We couldn't be happier to open this up for the northwest side of town," Kupper said.